Have you been feeling a bit stuck when it comes to your branding and brand style? Are you unsure about how to get started with your business website and could use some direction? I over hear those struggles a lot and I often get asked how to get started with creating a website or what tools and resources I recommend. That’s why I sat down and spent a few hours creating some freebies to share. You’ve got a great product or service, but you’re stuck on your logo? Maybe you have a great idea and you’re ready to make it a reality and build a business. Design and marketing play a role in perceived value of your offering. 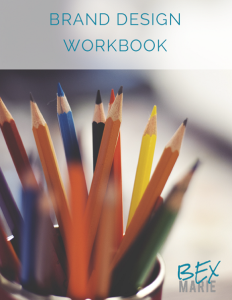 That’s why I’ve created this free workbook to quickly inspire your brand design. A deeper understanding of your brand personality and purpose. The perfect color palette to represent your brand. A font combination that matches your personality. 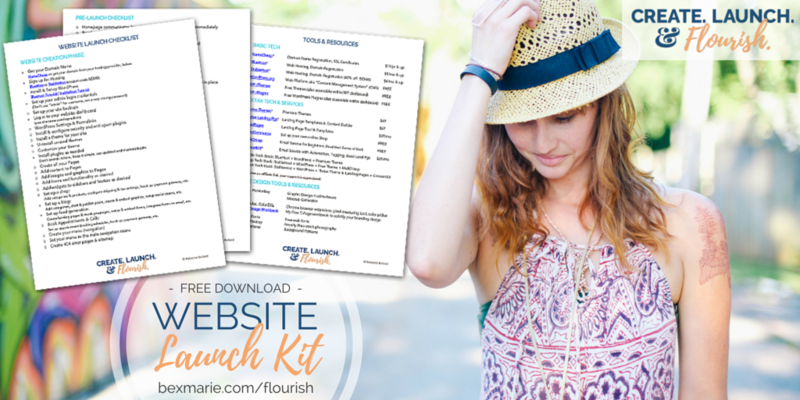 If you’re ready to get started with a website for your business but unsure how or where to start, then this is for you! 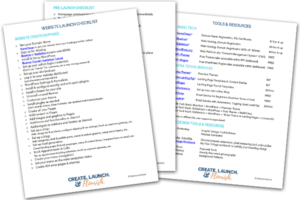 This short and sweet 3 page PDF will get you heading in the right direction. A List Free Design Tools and Resources that I love! Thanks so much for helping others and sharing your knowledge.